In the last issue (#65) we discussed Achieving a Partial C-Corporation Tax Benefit. In this issue we'll cover another set of major obstacles to a successful business sale: Inadequate Recordkeeping / Accounting Systems / Financial Reports. In my career as a business broker, and as a Certified Professional Accountant (CPA) by background, I've encountered two major surprises: (1) the amount of "under the table" cash that business owners claim to receive is incredible (because I don't believe the high amounts claimed by most of them, and neither will prospective buyers); and (2) the recordkeeping, accounting systems and financial reports of a great majority of small businesses are horrible. Horrible! It's a strong word, but the point needs to be made. Perhaps, as an accountant by background, I'm more sensitive to the issue. However, you need to know that Inadequate Recordkeeping / Accounting Systems / Financial Reports are huge obstacles that might prevent the sale of a business. And, surprisingly, it is more common than not. It's one of the major reasons that only about 20-33% of all small businesses are saleable. But it is a factor well within your control. There are other significant benefits to maintaining good recordkeeping, accounting systems and financial reports. Small businesses should use monthly or quarterly financial statements to monitor the progress of the business. The financial statements should provide reliable information that can be used as the basis for making decisions affecting the profitability of the business. Meaningful financial statements are also necessary to obtain lender financing. But they are crucial when trying to sell a business. Nothing will make a prospective buyer run away faster than Inadequate Recordkeeping / Accounting Systems / Financial Reports. During the due diligence process a buyer will likely request annual financial statements and tax returns for the last 5 years as well as monthly financial statements for the past 3 - 5 years. For a variety of reasons many, if not most, small businesses are not producing meaningful monthly financial statements. Without getting too technical, preparation of accrual-basis financial statements is the only way to produce meaningful data. Many accounting software systems rely on cash transaction reporting and require a few month-end adjustments to balance sheet accounts (i.e., inventory, accounts receivable, accounts payable, loan payments, etc.) 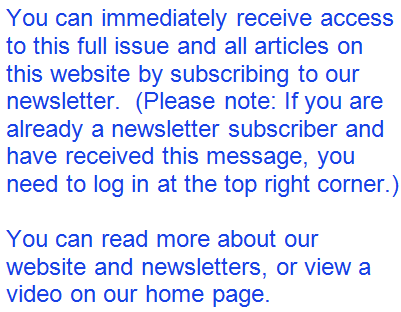 to produce necessary monthly financial information. In most instances, an in-house accountant or controller can accomplish these reports. If your firm is trying to get by with a bookkeeper (as opposed to an accountant), that may suffice generally, but you need to consider retaining your outside accountant/CPA to compile meaningful monthly financial statements from the records provided by your bookkeeper. Even in good situations, prospective buyers of a business face a fair amount of risk. Almost all buyers and their advisors will walk away from a business they can't get a handle on because of Inadequate Recordkeeping / Accounting Systems / Financial Reports. From a buyer’s standpoint, it's an expensive proposition to fight through financial statements that are incomplete, inconsistent, erroneous or meaningless. It's the rare prospective buyer who is willing to fight that battle. And rest assured, because Inadequate Recordkeeping / Accounting Systems / Financial Reports produce more questions than answers, it will be reflected in the price a buyer is willing to pay.